Our Atlas Heritage premier + caravan is situated overlooking the nature reserve and lake, in a peaceful but convienient position. Front and side decking with patio table and chairs, and just a few minutes walk to the golden sandy beach. 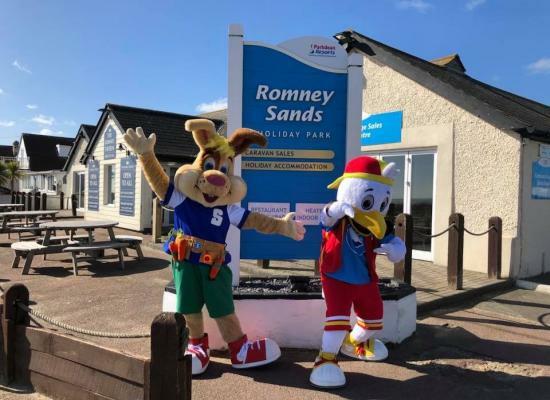 We welcome you to our privately owned, family friendly, fully equipped home from home, our holiday caravan is set on a very well presented clean & tidy Parkdean Holiday complex on the Kent coast. 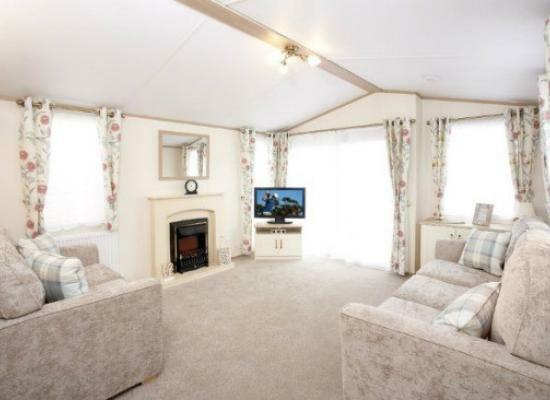 A 3 bed caravan that sleeps 8 with decking and outside furniture, less than 50 yards from a beautiful sandy beach. All towels and bed linen provided with beds made up for your arrival with entertainment passes included in the price. Romney Sands sits opposite one of Kent's finest sandy beaches. The area is surrounded by the mysterious Romney Marshes, and the Park has its very own station on the Romney, Hythe & Dymchurch Miniature Railway, so take a trip along the coast and admire the views! Enjoy a game of tennis, join the action on the Sports Court, or take a dip in the indoor pool. The choice is yours. Kids will be happy in Sparky's Krew Club with Parachute Games, Clown Academy, quizzes, games and competitions. And at night, everyone heads for Celebrities Club for a fabulous line up of dancing, shows and visiting cabarets - a great night out for all the family! For a quieter drink, relax in the NEWLY restyled Tavern Bar. South of England Rare Breeds Centre. Not only rare breeds, but also big red tractor rides, pig racing, woodland adventure, play barn plus beautiful woodland walks. Romney, Hythe & Dymchurch Railway was built for a millionaire racing driver in the 1920s and is the smallest public steam railway in the world.